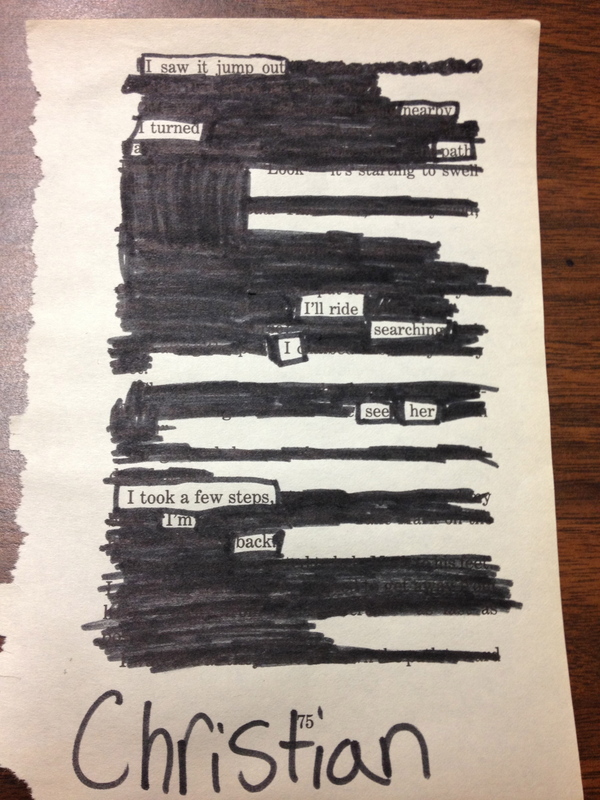 A BIG THANK YOU to all of the Blackout Poets out there that joined in and Blackout Poetry Week! I’m here one last time to recognize some stellar student work and Jason Stephenson will wrap things up tomorrow, so be on the look out for his post. 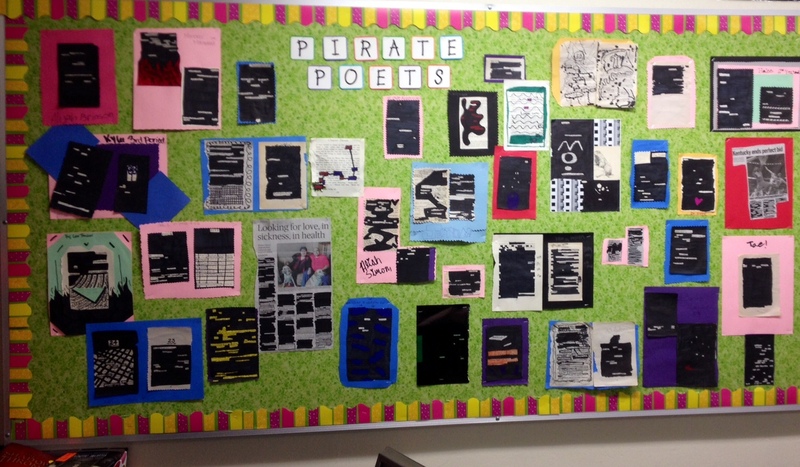 Mr. Pollock’s students submitted more poems today, and like I said yesterday, they are truly a great example of a #blackoutpoet classroom! 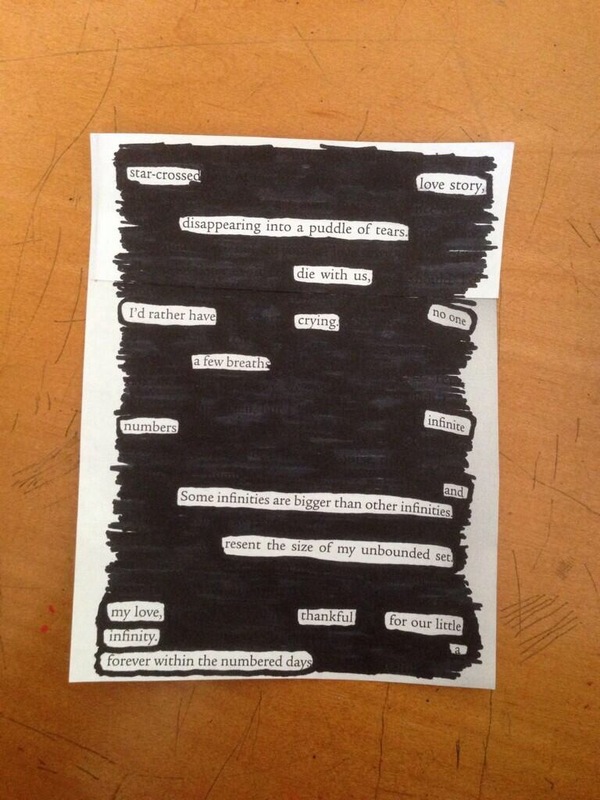 If you haven’t already, check out the #blackoutpoets hashtag to see them all and use them in your own classroom as stellar examples! Here are a few that really stood out today. I can’t say thanks enough to Mr. Pollock and his student poets for participating! 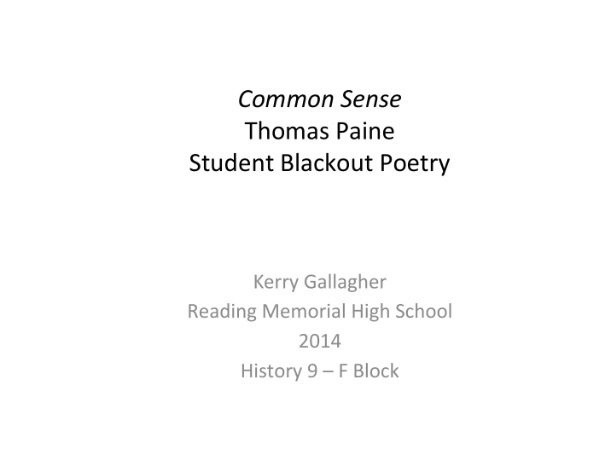 This HS history class made an ebook from #blackoutpoets based on Paine’s Common Sense. 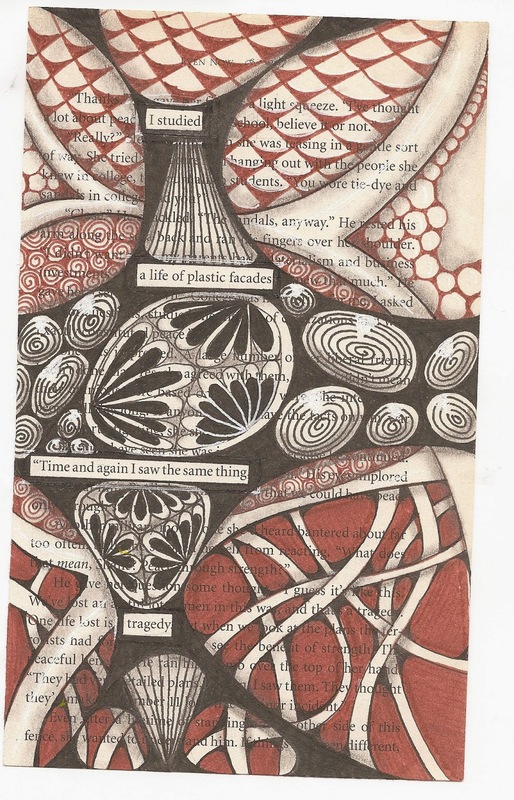 Yeah, it’s pretty amazing, @KerryHawk02 Thank you for sharing. 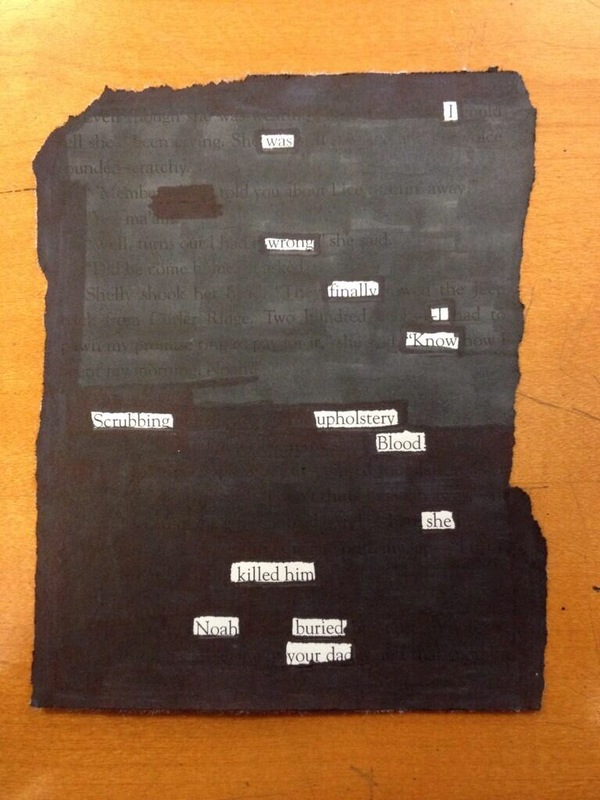 Thanks to @Maurice’sMonkeys from Whitehorse,Yukon for posting this cool blackout poem today! 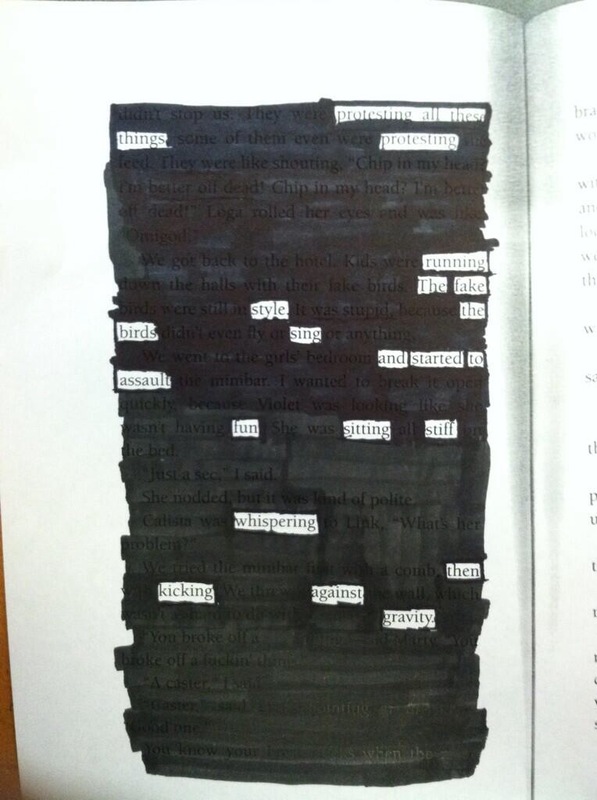 And last, but not least, I wanted to give a quick shout out to my own middle school student #blackoutpoets, who worked so hard this week on their poems. I am one very proud teacher! 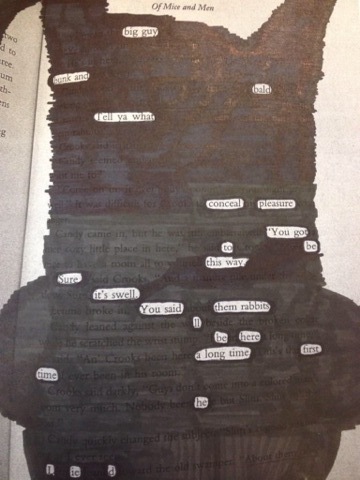 It’s Thursday and Blackout Poetry Week is in full swing! 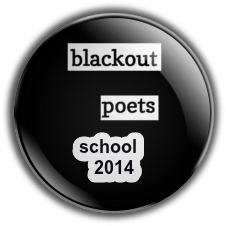 I’m here to recognize some stellar student #blackoutpoets from Twitter and Instagram! 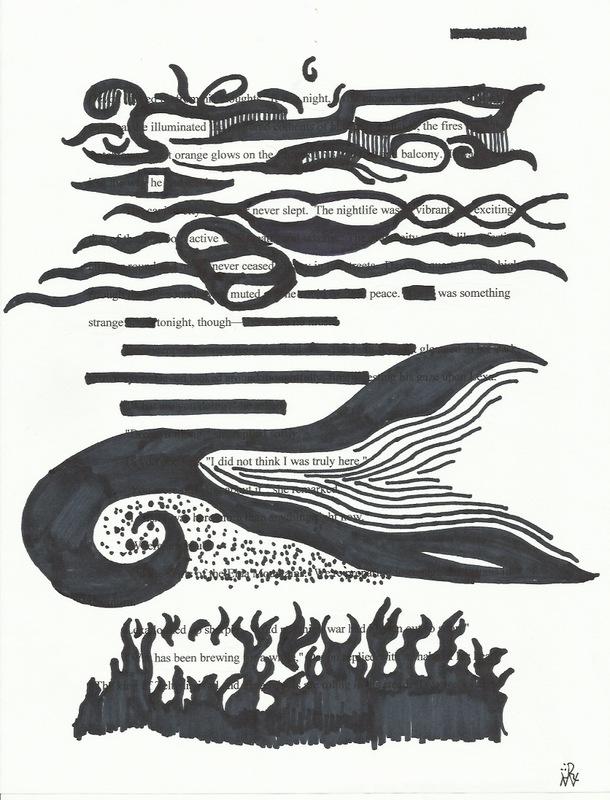 I’ll be featuring another set of poems tomorrow and Jason Stephenson will wrap things up on Saturday. 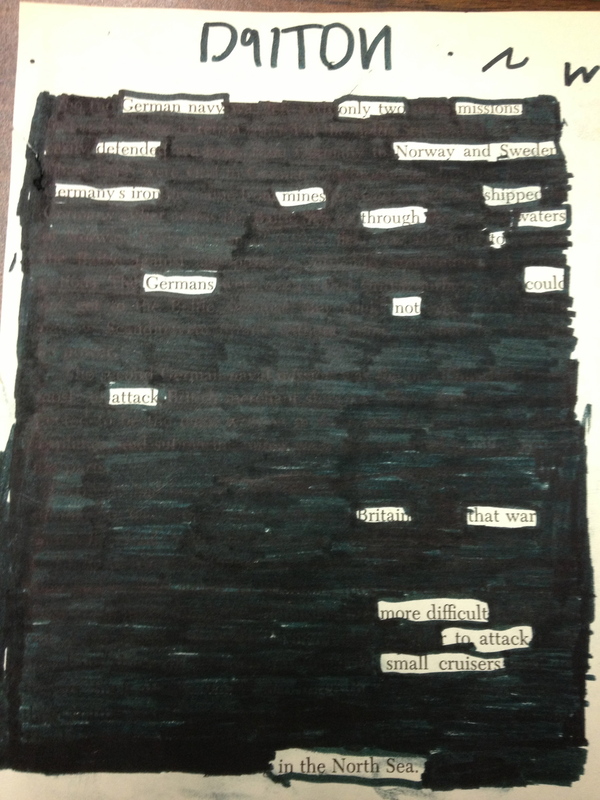 We had so many great blackout poems today that it was very tough to choose only a few. 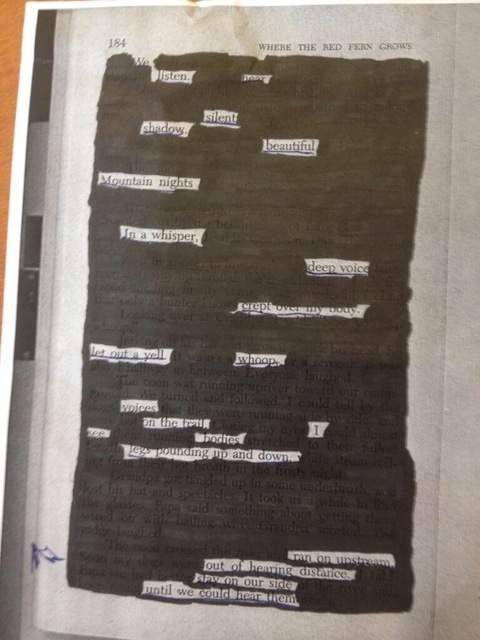 We had a bunch of blackout poems submitted today from Mr. Pollock’s students and they were all creative and inspiring. 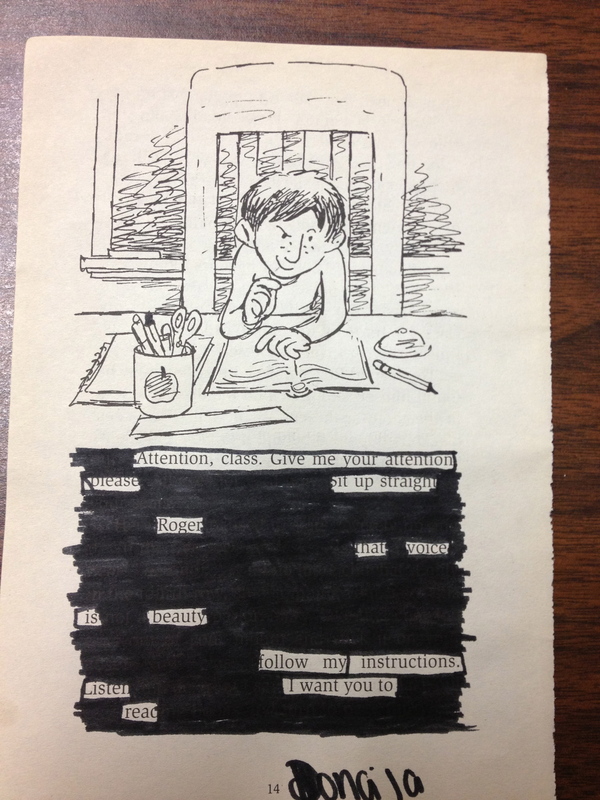 Check out the #blackoutpoets hashtag to see them all and use them in your own classroom as stellar examples! 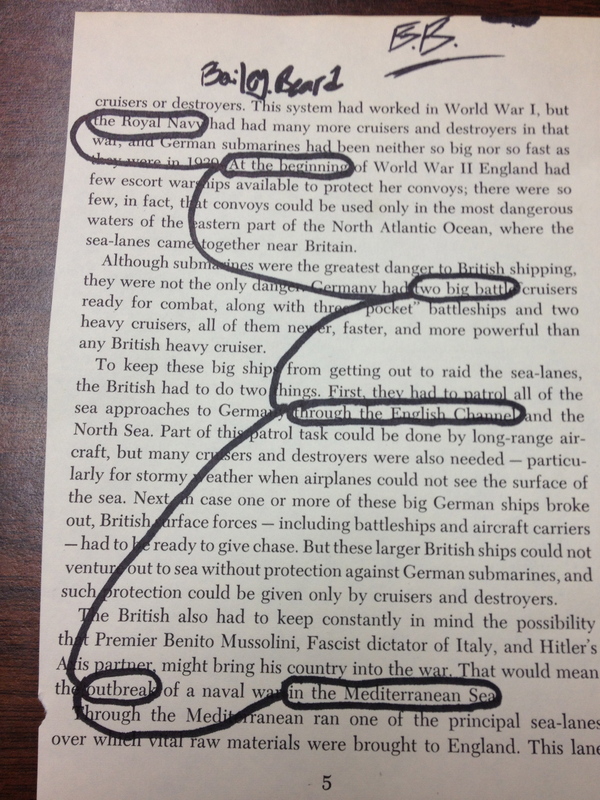 Here are a few that really stood out. Thanks to Mr. Pollock and his student poets for participating! 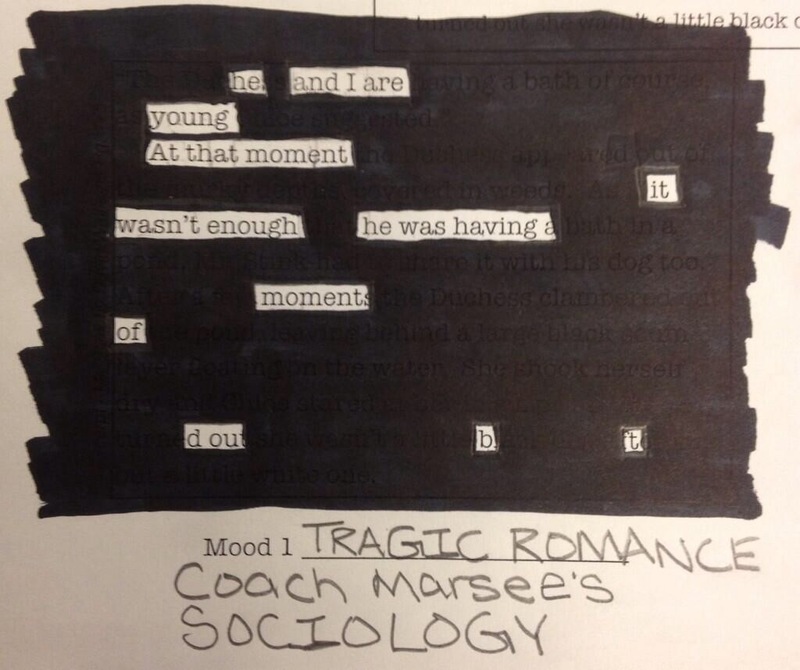 Coach Marsee’s #blackoutpoets focused on creating different moods with their blackout poems. The results were fantastic! 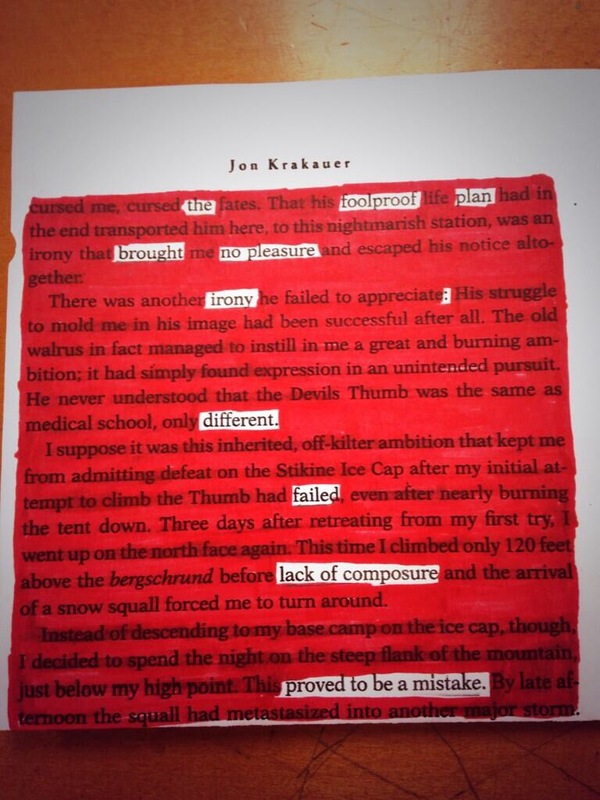 This poem was submitted by @wordsartmagic and is pretty amazing. Thank you for sharing, Gina! It’s finally here! 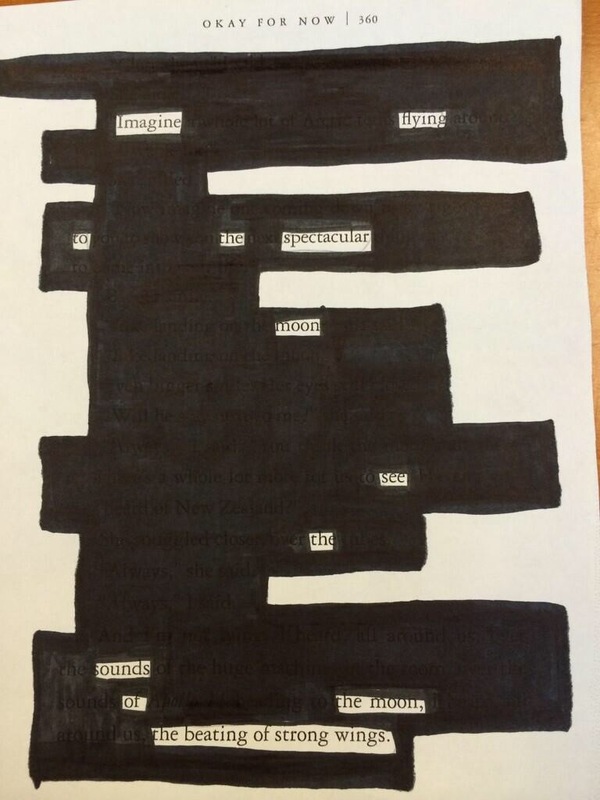 If you haven’t heard, April 7th – 12th is blackout poetry week on Instagram and Twitter. Jason Stephenson and I will be co-hosting the festivities and we hope that you and your students will join us! 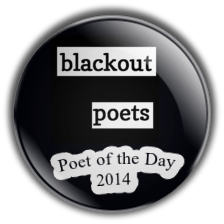 Please use the hashtag #blackoutpoets throughout the week and check out other poems from all across the world! 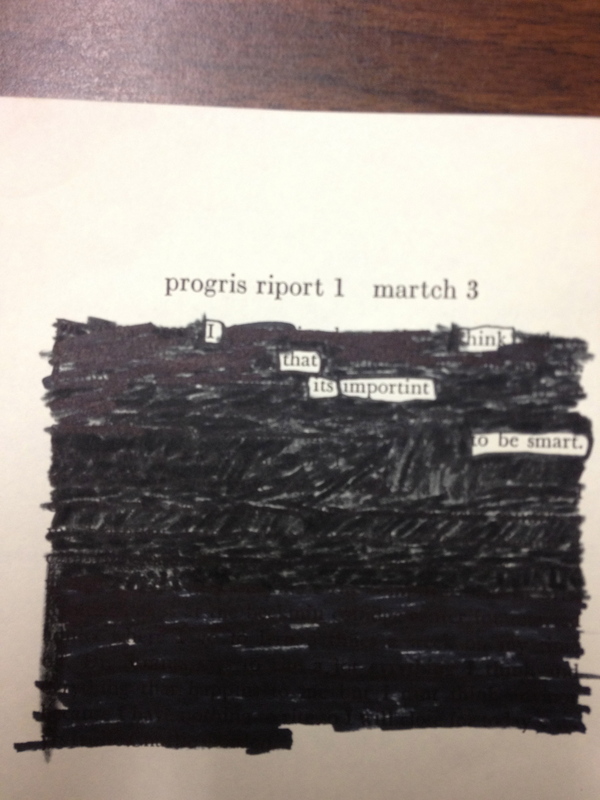 Follow our Blackout Poetry Twitter Account to see examples and to stay up to date on all the action during the week. 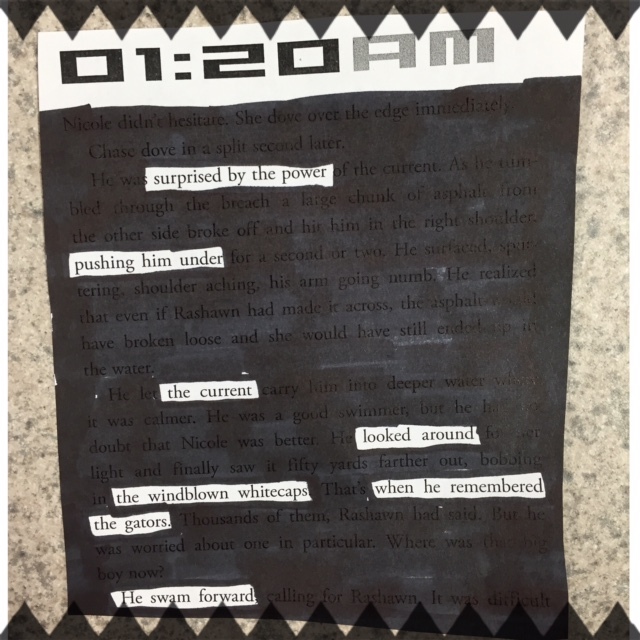 Each day we will be awarding a “Poet of the Day” in the following categories: elementary, middle school, high school, teacher and author, and posting them on our blogs. “Poet of the Day” lists will be on Jason’s blog on Monday, Wednesday and Saturday and here on Literacy Love on Tuesday, Thursday and Friday. 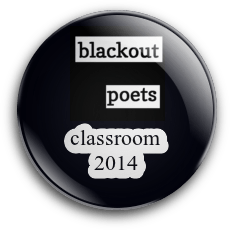 Feel free to use the blackout poets classroom and school badges on your own blogs. 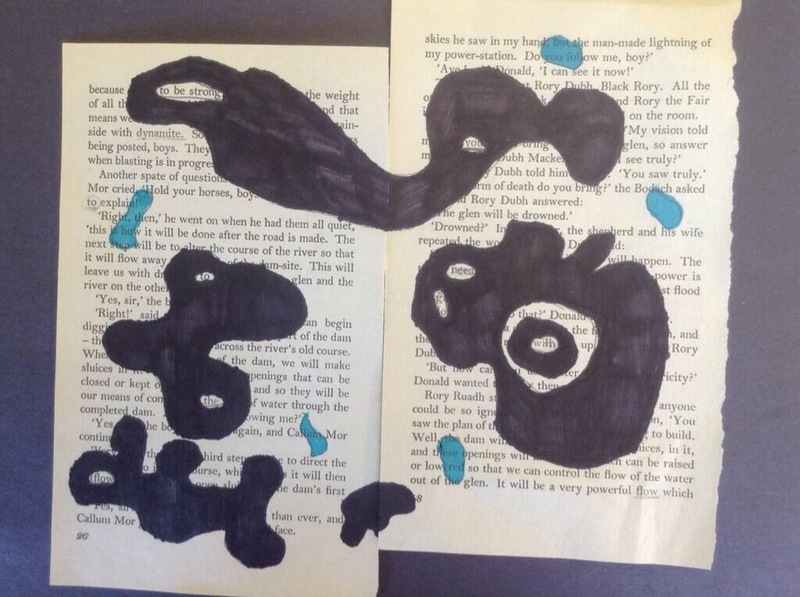 If you do, please share your classroom or personal blog link in the comments section so others can read your poems. 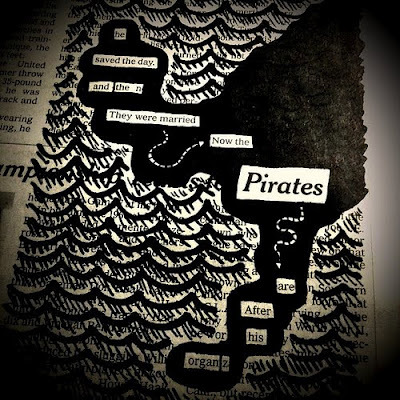 Have a great week blackout poets!